Add elegant frontend login form to let users login to your site and get access to restricted content and private page. Upload and extract the wppcp-frontend-login zip file into /wp-contents/plugins folder in your WordPress installation. 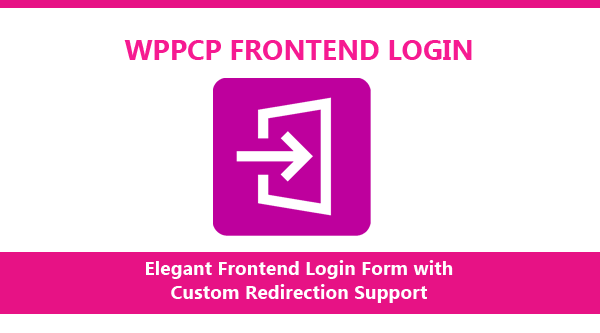 You can hire the developer of WPPCP Frontend Login to customize existing features or add new features according to your requirements. Please contact the developer at innovativephp@gmail.com for any customization requests for WPPCP Frontend Login.